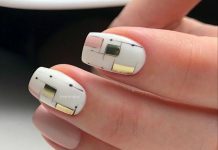 Ladies, we’re toning things down with these simple almond nail designs. 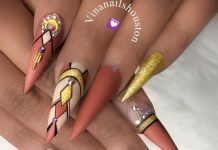 The almond nail is currently a trending nail shape. If you check out our collection below, then you’ll understand why! This shape is called “almond” after the hard yet tasty brown almond nut. It’s the same exact shape. 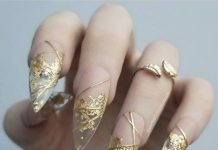 As you can see, this shape is much shorter than stiletto nails or coffin nails. 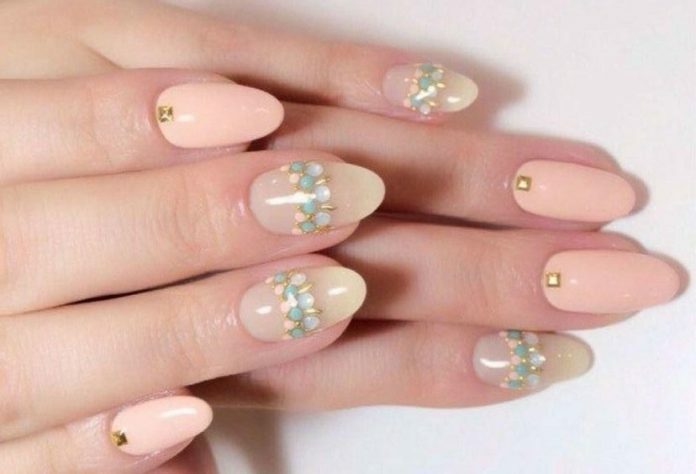 Almond nails are perfect for lady-like women because they are very feminine. Because of the shorter length, this shape gives off vibes of moderation and simplicity. Just look at our nail designs below with pale pinks and turquoise rhinestones. Even with the gold beads, the effect is very lady-like and feminine. You’ll see more simple and clean designs below with simple white nail polish, gray, beige, cream, and so on. Yet we also have some pretty bold designs in black, sparkling glitter, and deep reds.